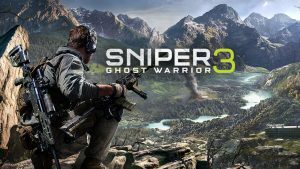 While Sniper: Ghost Warrior 3 is scheduled to be available on April 4, developer CI Games will offer an open beta for all who are interested. Blockout: Players have to assassinate (or “neutralize”) a well-guarded war criminal. Signups for the beta are live now at the game’s site, and CI specified that it is an open beta, so everyone can apply. Ferbuar will be very deadly – first SGW3 Beta and after that SE4. Oh, there will so much to test! I can’t wait! I though, that demos are gone, but with latest news im starting to belive, that developers want them back. CI Games is a goo example of such good change. Im glad, that CI Games showed other companies, that its possible to make beta version of new game and only for single player campaign. I hope, that many will take them as a example.